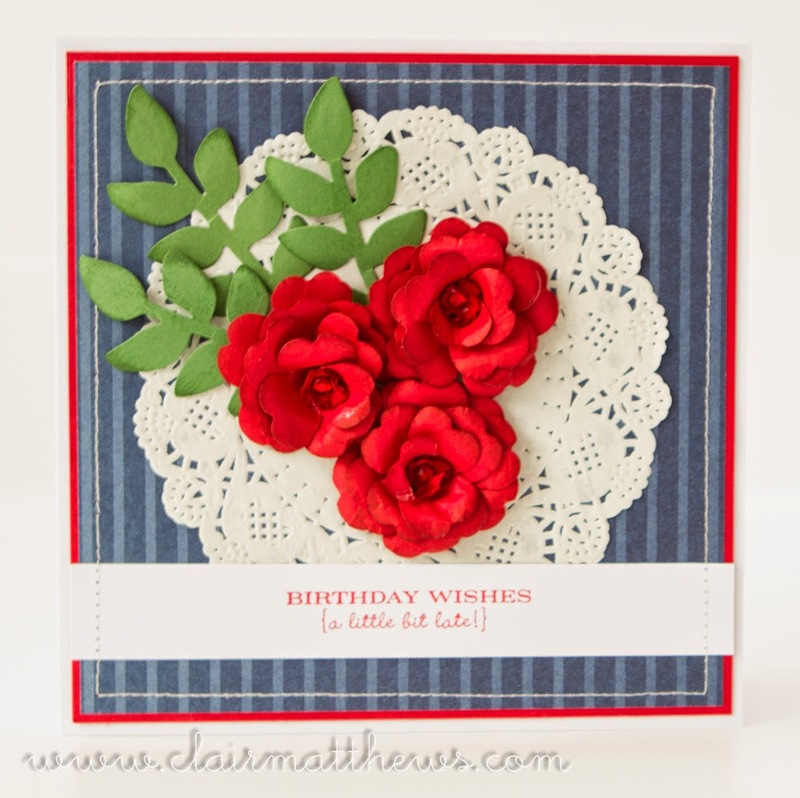 Clair Matthews: Lynns birthday card.. 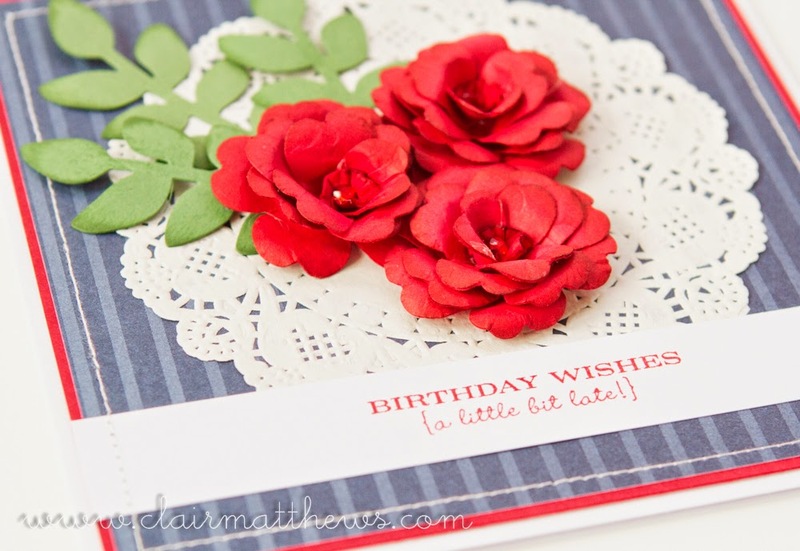 I made this beautiful card for my friend Lynn who celebrated her birthday last week.. 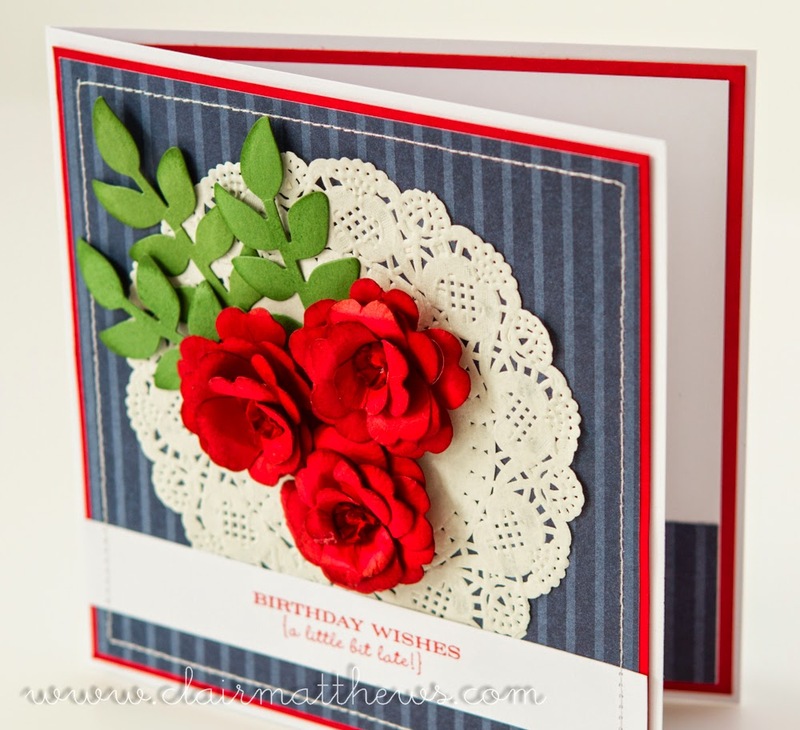 I used Stampin up designer paper in night of navy for the background along with a papermania doily, the sentiment is an old stampin up one.. I added gorgeous red roses made using one of the spellbinders dies..
& dug the sewing machine out to add some stitching around the edge.